In November, 2007 PLANNING DEPARTMENT of GOVERNMENT OF RAJASTHAN prepared a COMPENDIUM OF ISSUES PENDING WITH GOVERNMENT OF INDIA which listed Prohibition on Asbestos Mining as one of the pending issues. The compendium reads: "Government of India has prohibited renewal of and grant of fresh asbestos mining leases in the country, keeping in view the adverse effects on the health of those working in such mines. The Indian Bureau of Mines has carried out detailed studies and has prepared a report which has been submitted to the Government of India. In this report, it is mentioned that the mining operations do not affect the health of a worker exposed to these operations and by taking precautionary measures, it can be checked. Based on this Report, GOI may be requested to lift the ban on renewal of existing and grant of fresh asbestos mining leases in the country. A meeting was held on 21.9.2004 whereas decision was taken to continue ban on new leasing and renewal of asbestos mining in Rajasthan." "Rajasthan State has largest deposits of low grade asbestos and having largest production also. 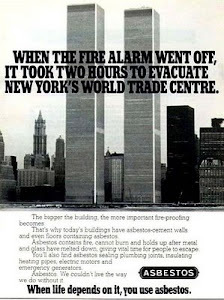 Looking to this, ban on asbestos shall not continue. In this regard, GOI has been again requested on 10.11.2004. The Govt. 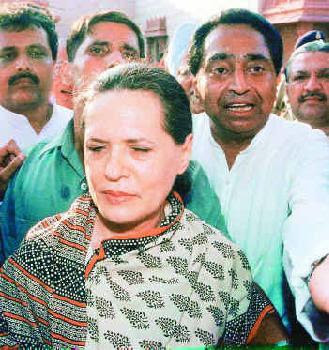 of India has been recently reminded on 25.7.06 to lift the ban on asbestos mining." It refers to Action required:-Government of India may be requested to lift ban on grant and renewal of Asbestos mining. 1. Is it true that Indian Bureau of Mines have conducted study on the health hazards of asbestos mine workers of Rajasthan ? 2. If yes, what are the recommendations ? Is study recommends for lifting of ban on asbestos leasing ? 3. Is Govt. of India have intension to implement these suggestions and lift ban on leasing and renewal of leases asbestos ? 4. If so, when ? 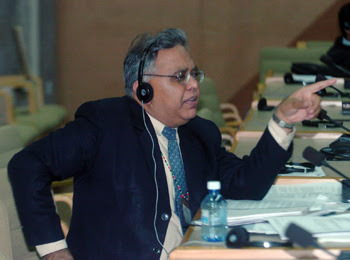 Shri N. P. Sharma, Dy. Secretary, Mines Department, Jaipur. Telephone No. 2227217(O), 2703036(R). basic rocks. Jharkhand and Rajasthan were mainly enriched with tremolite followed by small amount of chrysotile. In Andra Pradesh and Tamilnadu the amphibole variety is more abundant than the chrysotile variety. In Jharkhand, chrysotile asbestos occurs in Singhbhum districts associated with serpentinised dunites and peridodites and is usually between 3.1 to 6.2 mm long. Chrysotile asbestos fibers are short between 9.4 to 15.75 mm in length. Lakshmana mines in Cuddapah district in Andra Pradesh chrysotile fibers are between 0.076 to 0.152 mm in length2, 4–7).countries. nations like India the exposure are much higher and the potential for epidemics of asbestos diseases is great. Singbhumi Ekta, a weekly from Chaibasa, published between January and August 1981, carried a press release from the late P. Mazumdar, the leader of the United Mine Workers Union (AITUC), which says that 30 workers from Roro mines had died of asbestosis. 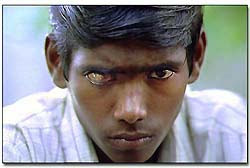 Sundaraw, a asbestos worker(PICTURE ABOVE) and others like him will also meet the same fate who are engaged in the mines at Pulivendala, Andhra Pradesh. Health norms be damned. India may lift the ban on asbestos mining. • WHO estimates 90,000 people die annually due to asbestos-related occupational cancer. 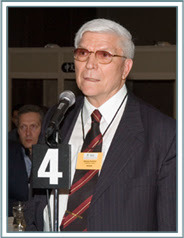 • Experts aver that there are no safe levels of asbestos exposure. • Not many aware that even normal wear and tear of asbestos carry health and environment hazards. Around 40 countries the world over may have banned or set in motion steps to phase out the use of asbestos, a deadly carcinogenic mineral, yet India blithely moves in reverse gear. The move to lift the asbestos mining ban defies global practices. The US has banned its use recently. Unmindful of the health and environment concerns, the Centre is working overtime to lift a 20-year-old ban on asbestos mining. In 1986, it had directed all states to stop granting new mining leases for asbestos (including chrysotile) in view of the deleterious effect on the health of mine workers. In 1993, the government also stopped renewing existing mining leases. Now it is set to do an about turn. "A gazette notification outlining our recommendations towards lifting the ban on mining chrysolite asbestos is currently under formulation. We expect it to go for cabinet approval early next year," says Kaushik Sarkar, deputy-director, Directorate General of Mines Safety (DGMS). For the layman, asbestos is a generic term applied to certain naturally occurring fibrous minerals that came into use in over 3,000 products for their thermal resistance and immense tensile strength. Chrysotile, amosite and crocidolite are the most commonly used forms of asbestos. Chrysotile, deemed the safest, has 90 per cent market share. Asbestos's global reputation of being a proven human carcinogen has led to experts calling for a total cessation of its use. who estimates show that asbestos kills at least 90,000 people annually—about half of all occupational cancer deaths. Classified by EU as a category one carcinogen, experts aver there is no safe level of asbestos exposure. Once inhaled, the fibres get enmeshed in lung tissues, causing lung cancer, asbestosis and mesothelioma, which is a painful cancer of the chest wall lining. The government volte-face signals the culmination of a debate that began in 1998 when the Ministry of Mines and Minerals (MOMM) asked the Indian Bureau of Mines (IBM) to assess the feasibility of lifting the ban on expansion of asbestos mining after assessing pollution levels in asbestos mines and processing plants in Rajasthan and Andhra Pradesh. Based on the IBM report, the MOMM in March 2006 issued an advisory stating, "IBM has been asked to work out necessary safeguards in consultation with the Central Pollution Control Board (CPCB), subject to which chrysotile asbestos mining can be permitted, so as to ensure workers' safety." Defending the decision, S.R. Roy, deputy controller of mines, IBM, says: "IBM is playing a facilitator's role between the DGMS and the CPCB, both of which have decided to reduce occupational exposure limits to all kinds of asbestos in the work environment from the earlier 2 fibre per cubic centimeter (f/cc) to 0.5 f/cc, although we believe the instrumentation required to measure this is quite expensive and could be difficult to implement." Adds Sarkar, "We feel the ban on chrysotile asbestos mining is illogical, especially as we allow large-scale asbestos imports from Canada and Russia for processing and manufacture into various products. So, if these units can be allowed to function under stringent safety rules, why can't we do the same while allowing local asbestos mining?" Naturally, CPCB holds a different view. Says an official: "In principle, we have agreed with the DGMS to reduce exposure of the asbestos workers' to the global norm of 0.5 f/cc to 0.1 f/cc, but still have reservations about lifting the ban." Qamar Rahman, senior scientist at the Lucknow-based Industrial Toxicology Research Centre, says: "On the basis of my own study and others conducted at the asbestos milling units, the ban on asbestos mining should not be lifted. Mining and processing are interrelated, and conditions need to be improved at both places simultaneously." Rahman says that in the milling or grinding areas, fibre concentrations were high and workers didn't use gloves, masks or protective clothing. The primitive manual ways of grinding and housekeeping in the units was also very bad. Local activists say the move to lift the mining ban is a blatant defiance of global benchmarks. 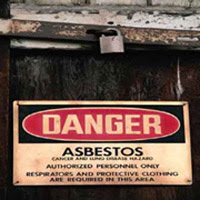 Last month, the US Senate passed the Ban Asbestos in America Act. India, on the contrary, has slashed import duty from 78 per cent in 1995-96 to 25 per cent in 1999-2000. As a result, the use of asbestos products for manufacture of pipes for water supply, sewage, irrigation and drainage system, textiles, laminated products, brake lining and jointing for automobiles, heavy equipment, fertilisers and thermal power plants continues unabated. Global trade data reveals that in 2006, India imported around 3,06,000 metric tonnes (MT) of asbestos of which 1,52,820 MT was from Russia, 63,980 MT from Canada, 48,807 MT from Kazakhstan and 34,953 MT from Brazil. Ironically, while Canada doesn't allow domestic asbestos use, it is a major supplier. Giving an industry perspective, Vivek Chandra Rao, GM, occupational health, Hyderabad Industries Ltd (HIL), a Birla group company, says: "The lifting of the ban does not mean that the industry will start using the indigenously mined asbestos, as we will first check the grade and quality versus the imported Canadian and Russian asbestos. Then there is the question of the volume available in our mines for our daily usage." HIL manufactures the 'Charminar' brand of corrugated asbestos cement sheets and has a marketshare of 22 per cent. Similarly, Everest Industries, with a 17 per cent marketshare in asbestos cement roofing, feels checking the quality is essential, as indigenous asbestos could also have high levels of adulteration. With the asbestos industry employing about 8,000 workers, the main concerns are about health. "The health and safety legislation does not cover 93 per cent of workers in the unorganised sector, where asbestos exposures are very high," says Gopal Krishna, a veteran anti-asbestos activist. Not many are aware that even asbestos products like water pipes and roofing carry health risk as wind erosion besides normal wear and tear leads to disintegration of fibres, which can get lodged in the nose, mouth, throat, larynx or lungs. Says Rahman: "As these fibres are bio-persistent (stay in the body for years without changing) they can cause irreparable damage and cancer." The government support of asbestos as a poor man's building material does not bode well, particularly when polyvinyl alcohol (PVA)—a man-made fibre—is available as a cheaper and less hazardous alternative. Activists allege that PVA import duties, now at around 71 per cent, hinder its acceptability as a replacement for asbestos in construction. What the government hopes to achieve by going against the global tide remains unclear, but given asbestos's hazard potential, it should be ready to face the consequences. An urgent letter from UN’s Basel Secretariat has been sent to Ministry of Environment & Forests concerning asbestos, PCB and radioactive laden the vessel named Aqaba Express (formerly Beni Ansar) that has changed its name MV Al Arabia. The ship anchored in Alang on 27 October, 2007 in violation of the September 6, 2007 order of the Supreme Court. The ship is beached in plot no. 114. Its port of registry is Moroni. letter suggests that the vessel left Spanish territorial waters by informing the Spanish authorities it is going to Romania for refurbishment and instead it came to Alang. As per Basel Convention, such misrepresentation is part of illegal traffic. The ship has not complied with the Court's orders of September 6, 2007 order and 14th October, 2003 that endorsed the Basel Convention and deemed it as part of right to life. Ship breaking activity must operate under the clear mandate for the decontamination (pre-cleaning) of ships of their hazardous substances including asbestos, radioactive material, waste oils, gases and both solid and liquid PCB contaminated material and any other substances covered by the Basel Convention prior to imports for breaking. As per the exiting rules, if the ship breaking facility is not deemed by the country of import, or the country of export as possessing the capability for “Environmentally Sound Management” then import/export must be prohibited. Exporting country can be the country where a ship owner is located, a port state, or the flag state. Parties to the Convention such as India is duty bound to prohibit trade in hazardous wastes between themselves and non-Parties without a special bi/multilateral Agreement. A Basel Party wishing to export a ship containing hazardous materials for scrapping must first notify and then receive consent from recipient country prior to export. Prior Informed Consent (PIC) paperwork is required including a notification indicating that the ship does not contain any hazardous or radioactive substances onboard. Such a notification will require full sampling and testing of various onboard materials. The ship should be properly decontaminated by the ship owner prior to export for its breaking. In the case of MV Al Arabia (Aqaba Expres, Beni Ansar). As per the Court order, “Gas-free for hot work certificate” is mandatory for the seller of tankers before such ships are handed over to the recycling yard. Such certificates have to be obtained from the last port of call based on certificate issued by the classification society. No ship should be given a beaching permission unless Gas Free for Hot Work certificate is shown, but MV Al Arabia has not done the same. For ship like MV Al Arabia (Aqaba Expres, Beni Ansar), the September 2007 order reiterates, “…a clear mandate for the decontamination of ships of their hazardous substances such as asbestos, waste oil, gas and PCBs, prior to export to India for breaking.” The same has not been complied with. Indian Platform on Ship-breaking has written to Basel Secretariat, Environment Ministry, Spanish and Romanian authorities seeking their response with regard to the illegal traffic. According to a European Commission official, "Spain as the presumptive country of export is in the best position to take further measures, i.e. giving full information about the hazardous nature of the waste, requesting a return of the ship and/or offering cooperation on environmentally sound management elsewhere, and initiating criminal proceedings against the persons who have given false declarations towards Spanish authorities (in so far as this is criminal under Spanish law). We have pointed the Spanish MoE to these possibilities and assured them our support. The EU or Commission can play only a limited role in this context." 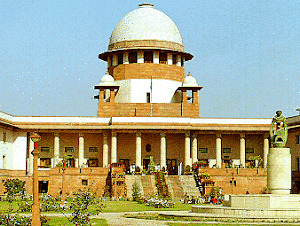 He added, EU is observing the effect of the recent ruling of the Indian Supreme Court on the ground. A proper application of the Court's requirements would mean that the Aqaba Express / MV Al Arabia should not be accepted for dismantling in Alang. If import countries do not even implement their own law, European intervention or UN law has limited value. 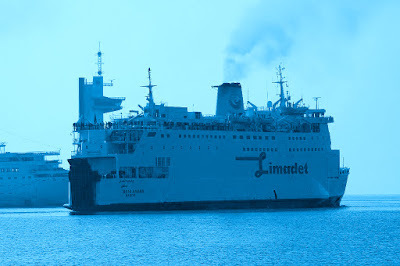 The UN official, Ms Katharina Kummer Piery's letter to R K Vaish, Joint Secretary, Hazardous Substances Management Division has reference to the arrest of the ship in Spain and the fact that the ship has asbestos and PCBs. The letter suggests that the vessel left Spanish territorial waters by informing the Spanish authorities it is going to Romania for refurbishment and instead it came to Alang. As per Basel Convention, such misrepresentation is part of illegal traffic. The ship has not complied with the Court's orders of September 6, 2007 order and 14th October, 2003 that endorsed the Basel Convention and deemed it as part of right to life. Ship breaking activity must operate under the clear mandate for the decontamination (pre-cleaning) of ships of their hazardous substances including asbestos, radioactive material, waste oils, gases and both solid and liquid PCB contaminated material and any other substances covered by the Basel Convention prior to imports for breaking. Just a month after the Senate with great fanfare passed the first legislation to ban disease-causing asbestos, public health officials, government regulators and advocates for asbestos victims are increasingly speaking out in opposition to the bill they once supported. The bill originally imposed a total ban on asbestos, and that's the version that the public health experts testified in support of. But between the hearing in June and the Senate vote last month, ban supporters say the legislation was watered down to appease powerful lobbyists and industry. Many asbestos-containing products now aren't covered by the ban at all. Nonetheless, says Sen. Patty Murray, D-Wash., the ban is "a major step forward, and I passionately wish it covered all asbestos products." "If I was just Patty Murray and I didn't have to worry about getting other votes or a Republican president or that I have a one-vote majority in the United States Senate, I'd have a 100 percent ban," Murray said last week. Staffers for Murray and Sen. Barbara Boxer of California, who co-sponsored the legislation, insist that the Environmental Protection Agency "fully supports the bill as passed" and the agency's personnel were closely involved throughout the process. Not so, say agency scientists and the EPA's legislative office. While the EPA said it had "no public position on the legislation," documents obtained by the Seattle P-I show the agency has "significant concern" that the ban doesn't go far enough. In a draft of a letter prepared for the House Committee on Energy and Commerce, which will hold the hearings on the Senate-passed bill, the EPA quickly went to the issue that is concerning much of the public health community: "To protect public health and the environment from asbestos hazards, the ban should target any products in which asbestos is intentionally added or knowingly present as a contaminant," read the evaluation, which was to be signed by EPA Administrator Stephen Johnson. But last month, the White House Office of Management and Budget rejected the entire document and told the EPA it could not submit it. Government scientists charged that the OMB action was another example of the White House putting politics over science. But the EPA did not buckle. In comments prepared this week for Congress, the EPA scientists repeated that the ban should apply to "any product to which asbestos is deliberately added or used, or in which asbestos is otherwise present in any concentration." This definition is precisely what businesses, road builders, the owners of mines and pits where asbestos-contaminated sand, stone and ore is still dug, managed to get deleted. The lobbyists also wanted to control how the research the legislation demanded would be done. The bill says that a study would be done to collect scientific evidence to determine the cancer-causing hazard to health from products not covered by the ban. "I've got to tell you, (industry lobbyists) tried to back me off the study more times then you can know," Murray said. "The Stone, Sand and Gravel Association demanded their own scientists do the study, be at the table. No way," Murray said. "If you put that in here, I'm walking away from it." # An epidemiologist with the Connecticut health department told the Consumer Product Safety Commission earlier this year that asbestos was found in modeling clay that children were using in art classes. The art clay, the health official wrote, contained asbestos-contaminated talc from the R.T. Vanderbilt talc mines in upstate New York. Though federal health investigators documented the presence of asbestos in that mine decades earlier and scores of workers have been sickened or killed from exposure to asbestos in the talc, the Senate ban would not prevent the tainted powder from being sold. # Along the Iron Range in northern Michigan and Minnesota, waste from the taconite iron mines is contaminated with asbestos. Miners with asbestosis and the fast-killing mesothelioma are never far from tanks of oxygen. Elaborate marketing plans obtained by the P-I show how the taconite industry plans to sell the mining waste across the Midwest for construction of roads, airports, bridges and other public products and to claim that the product is free of asbestos. The current legislation will do nothing to prevent that. # Millions of homes and businesses have insulation in their walls and attics made from asbestos-contaminated vermiculite ore. Hundreds of miners and their family members have died and thousands more are ill from this Libby, Mont., vermiculite ore. Nothing in the law would keep the mine from being reopened and the tainted ore again sold in scores of products. Nor will the Senate effort restrict or even demand monitoring of other mines that are today producing vermiculite. Murray says the education provision of the bill will tell people of these risks, but some of the witnesses who testified for the ban say that isn't enough. "The government knows that asbestos products not covered by the legislation can cause harm and would allow, and probably encourage, companies to continue selling contaminated products because they are exempt from the ban," said Dr. Aubrey Miller, senior medical officer and toxicologist for the EPA. Dr. Michael Harbut, who has diagnosed and treated thousands of asbestos victims, also testified for the bill and is now worried about the language. "We need to be truthful with the public. This should be called the limited asbestos ban act," said Harbut, who is co-director of the National Center for Vermiculite and Asbestos-Related Cancers at the Karmanos Cancer Institute. 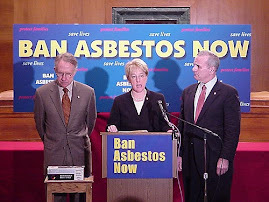 Linda Reinstein, a mesothelioma widow and executive director of the Asbestos Disease Awareness Organization, said: "After all the years of effort by the physicians, scientists, victims and Senators Murray and Boxer, we cannot wind up with a ban that doesn't include all asbestos. ... We all knew that compromises had to be made to get this legislation passed but I didn't anticipate that industry would successfully intervene at the last minute." The axiom that crafting legislation is like making sausage does little to convey the meticulous, high-pressure choreography between what lawmakers want their legislation to do and what industry lobbyists will permit. Murray and Boxer had to live with that reality. For six years, Murray fought to get her colleagues in the Senate to ban asbestos. It made sense. People were dying by the thousands and the deaths of a new generation might be prevented. But industry and the Bush White House didn't want the U.S. to follow 40 other countries and ban the importation, use and sale of the cancer-causing fibers. Lobbyists for America's largest industries swarmed over Capitol Hill, called in IOUs and dumped millions of dollars to fight the ban. But on Oct. 4, every U.S. senator voted to ban asbestos. That day, widows and friends toasted loved ones killed by asbestos. Scientists and physicians who had helped educate the senator and her staff members called one another, many not believing that the ban finally was just House passage away from becoming law. But when the euphoria of winning waned and people actually read the bill, many of them realized that the legislation no longer contained the same protection they had testified about, and they started speaking out. Bill Kamela, who is Murray's senior staff person in the fight for the ban, left a voice mail message last week on the home phone of the EPA's Miller. Kamela questioned the accuracy of Miller's views and ended the message with: "This disinformation campaign is not helpful to anybody and certainly not folks who want to stick around this administration and try to do the right thing at the end of the day." Murray blamed her aide's action on "the frustration of having the bill mischaracterized ... "
As the staff continues to defend the quality of the bill, they say the "real threat" will come from Rep. John Dingle, who heads the House committee that will hold hearings on the bill early next month. They say the Michigan Democrat will bow to the auto industry to exclude asbestos-containing brake material from the ban. Dingle did meet with auto industry representatives last month, "but will do nothing to damage the bill," a member of the committee staff said. Almost all of the witnesses who had worked earlier to get the bill passed or to testify on its need were contacted repeatedly last week by Kamela, Bettina Poirier, staff director and chief counsel for Boxer's committee on Environment and Public Works and other staff members. 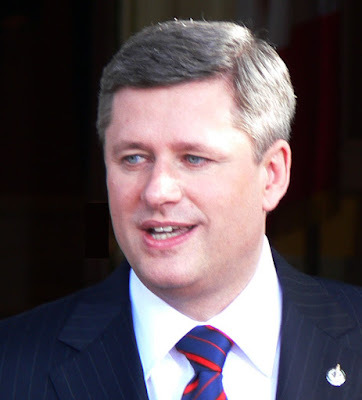 "These people, especially Poirier, kept calling. She ordered me not to talk to anyone about my views on the bill. She told me that I was spreading disinformation, that the bill was not flawed," Miller said. Richard Lemen, a retired U.S. assistant surgeon general and former acting director of the National Institute for Occupational Safety and Health, has long fought for the ban and what Murray was trying to do. Lemen and several of Murray's other witnesses joined in a two-hour conference call with the Senate staff one evening last week. Three of the participants said Poirier screamed at Lemen for much of that time, trying to get him to change his mind. "It was not pleasant," Lemen said. "They were trying to get me to change my opinion, which I'm not going to do. This is a bad bill." Poirier said she wasn't screaming at him. "Maybe that's how they interpreted it. I have a cold so my voice doesn't sound exactly normal," the senior aide explained. "We were trying to help him ... because they misunderstood what happened and we were trying to clear the air and support them." "These staff people are the same ones who asked us to testify and now they're the same people who are trying to shut us up. I'm not going to be quiet," he said. "The public will be given a false sense of hope and that, to me, is an outrage, As a result there are going to be thousands of people at risk of developing asbestos-related diseases. No one knows how many will die."